Investigators say they’re confident the two bodies discovered Wednesday in a wooded area of northeast Iowa are those of Elizabeth Collins and her cousin, Lyric Cook-Morrissey. 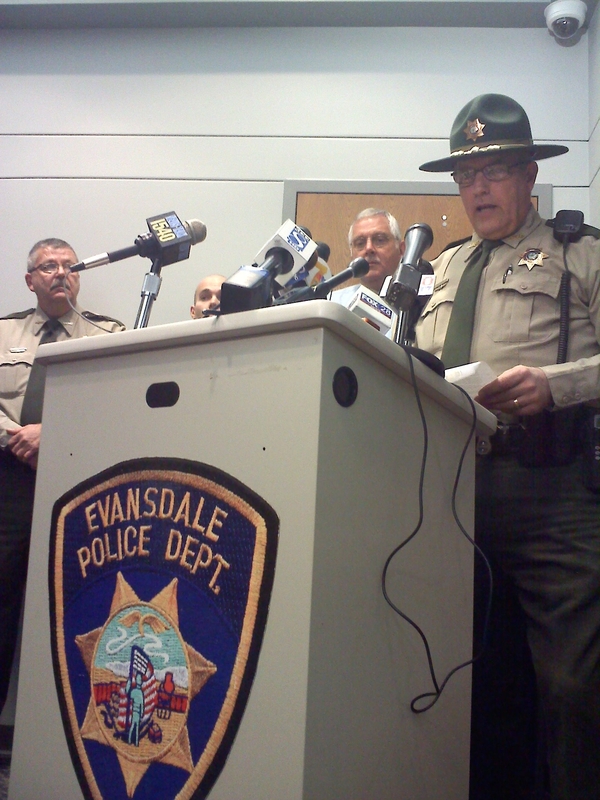 The Evansdale girls went missing while riding bicycles on July 13. Black Hawk County Sheriff’s Captain Rick Abben says they’re still waiting for positive indentifications on the bodies from the State Medical Examiner’s office. “We have no one else that’s missing in this area, we have two bodies that were found, smaller in stature, so we have nothing to think other than that at this time,” Abben said at a news conference late Thursday afternoon. The bodies were found around 12:45 p.m. Wednesday by hunters in the Seven Bridges Wildlife Area in Bremer County. The park is 25 miles north of Evansdale, the Waterloo suburb where the girls disappeared from five months ago. Abben declined to speculate how long the bodies may’ve been in that area and wasn’t sure if search crews had checked the park in the past. “We asked the surrounding counties to check parks and so forth, however this area was not right on the road itself. So if the area was checked…I’m not certain,” Abben said. The girls were 8 and 10 years old when they disappeared in July, but have had birthdays since.